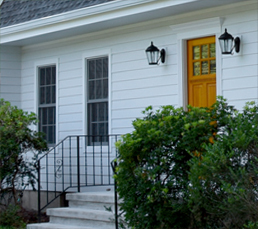 Have a home improvement project in mind? That’s where Craftworks Construction comes in. We provide creative solutions for our clients in every area. Our commitment to quality is paramount. From our first meeting to sweeping up the last nail...the job is personal. © Copyright Craftworks Construction LLC. All Rights Reserved. Craftworks replaced 28 large windows and 2 doors with total care. We could not be happier with their attention to detail and quality of the install. We live in an older home with its own quirks, Craftworks understood this and worked through some unexpected discoveries and left our home forever improved. We had been waiting on updating our windows for 2 reasons, Cost and Look. 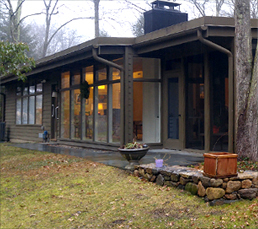 Craftworks was actually able to improve the look of our home true to its mid-century modern style all at a very fair price. Roland Reciuga, owner of Craftworks Construction, brought this custom master bathroom design to life. He and his team of trusted tradesmen 'planned the work and worked the plan' with excellence. He worked within the agreed upon budget, diligently stayed within the timeline, and executed the specifications to the letter. From the carpentry to the tiling, the electrical to the plumbing, not a beat was missed and the result is perfection. He has my gratitude and thanks for a job extremely well done. Fantastic renovation experience with a hands-on, responsive and communicative owner who delivered everything as promised when promised. Can't wait to work with these guys again! 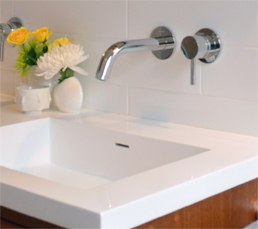 Craftworks Construction LLC did a complete renovation of our bathroom and it came out amazing! This was the first time we had done a big renovation to our home and we wanted to get it right. With Roland’s help we were able to see an even better result than we had anticipated. His team and subcontractors were very professional, courteous, trustworthy and punctual. We were especially impressed with the plumbing and tile work that was done. The attention to detail was remarkable. Roland is very skilled at his craft and also has a keen sense when it comes to design. He and his team were a pleasure to work with and we look forward to working with them on future projects. I would highly recommend Craftworks Construction LLC to friends and family. We absolutely love the work they did for us! The first project that Roland and Craftworks guys have worked on was replacing our windows. The pricing was very competitive and they have done a great job. Since then they have worked on multiple projects redoing the deck, the roof, floors, and tile. 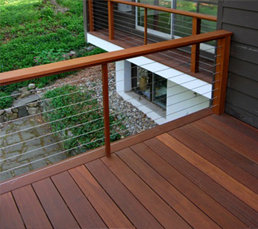 We love the quality of the work and get compliments on our floors and our deck all the time. We also really enjoyed the experience--Roland is very transparent, upfront about any potential additional costs that may arise, and always responds to calls/messages in a timely manner. Finally, it was great to work with a team that was completely responsive to our needs and was willing to take the time to brainstorm and come up with creative solutions. We have recommended Craftworks to several of our friends and would recommend them again without hesitation. I give the highest recommendation to Roland Reciuga and his crew from Craftworks Construction. They did extensive work which included reconstruction of rotted sections, new siding, window and door replacements and a new deck. By comparison with other contractors I have employed the experience was a pleasure in that everything was done on the promised time and done well, along with all my concerns for little details attended to. He's my man for any new projects. 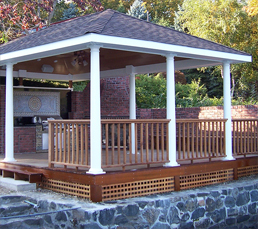 We have had multiple projects done by Roland Reciuga and his company, Craftworks Construction LLC. All have been completed with highest quality results. The biggest was a badly needed upgrade of two 1950s bathrooms, and replacement of a wall of floor to ceiling windows in our living room with high quality thermal efficient windows. The later was done in one summer day, after some careful preparation and followup in the days after. When our house painter found some badly rotten wooden siding and exterior window framing Roland was able to replace the wood with rot-proof material in time to maintain the painting schedule. He also replaced a large second floor porch with serious rot problems due to our shady location. It is marvelous. He came to our rescue when Hurricane Irene caused a tree to punch a hole in our roof while we were traveling on vacation in Africa. He came in a day, to patch the hole and deal with the water than had accumulated inside during the storm. We were able to continue our vacation knowing that everything that needed to be done was under control, a big relief. We highly recommend Roland and Craftworks Construction. We had heard so many horror stories about contractors in our area, that we were extremely nervous about having work done on our house. The place had been badly renovated years before bought it. Our work with Roland Reciuga and Craftworks Constructions LLC was both highly satisfying and exciting. Roland is a wonderful collaborator who had creative, clever, and inventive solutions for each of our problems. We had a wonderful working relationship in that he was receptive to our ideas, and offered solutions for our problems that were cost effective and aesthetically pleasing. He and his crew are true artisans, who know their crafts, take the time to do things beautifully, and work with vision and with their hearts. They seemed to be as proud of their work as we were pleased with it. We are entirely satisfied with their work, and recommend Roland and Craftworks Construction highly. We hired Craftworks Construction to remodel the second story of our garage from exterior storage to interior living space and to create new access from the garage into the house (i.e. cut a doorway into the house where there wasn't one before). 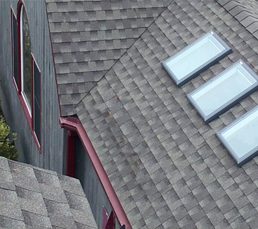 The project involved new window and skylight installation as well as the addition of a half-bath and a supplemental heating and cooling system. We supplied architectural drawings. I'm giving Roland Reciuga and his team five stars without reservation. Every inquiry we made received a prompt and professional response. We always knew what would be happening next, how long it would take, and who would be doing the work. We felt that his pricing was fair and competitive. Whenever an unexpected challenge arose, he and his crew were able to suggest options which were in keeping with our goals and design sensibilities. They met every stage of the project with a can-do attitude and attention to detail. They worked in an orderly fashion, always left their work areas tidy, and made it easy for us to carry on our day to day activities. The project progressed according to schedule and was completed on time and on budget. And all inspections went smoothly--a testament to the quality of their work. Craftworks Construction undertook a complete, "gut" renovation of a midcentury-modern home for us - every system in the house was replaced; a wing was added; three completely new bathrooms and new kitchen were created; original beams, windows, doors and rooflines had to be matched. We are more than happy with the final result, which was executed to high standards, on time, and to budget (other than a few changes forced by issues that were only revealed by demolition). Beyond the technical proficiency and craftsmanship of Craftworks and their chosen subcontractors, more than a word must be said about the professionalism and integrity of the principal, Roland Reciuga. His mastery of the details, attentiveness to the particular requirements of elderly and disabled owners, his courtesy to us and unfailing responsiveness to communications were all much appreciated. We recommend him and his firm without reservation. And we love the house! When my wife and I purchased our 1928-built home in May of 2012 we knew it needed a lot of work. However, we were also naive to think we could do it all ourselves. We quickly discovered we needed help and are blessed to have found Roland and his team to fill that void. After replacing 18 of 26 original windows, remodeling the side entrance, replacing a water damaged ceiling, insulating, adding recessed lighting, repairing a leak in the roof and enlarging a closet, it's evident that Roland and his team have become our partners -- and on more than one occasion, our saviors -- in making our house a home. Looking back, it's obvious he was our partner from day one. Without reservation, Renee and I would recommend Craftworks Construction to friends and family and have the before-and-after pictures to prove it. We look forward to having Roland back to finish the eight remaining windows, install a new front door and for a much needed bathroom remodel.